Last Saturday night I went to Thrive for the first time, with a group of fellow Seattle area vegan bloggers. It was a good night to visit because they weren’t too crowded, and our group of five was able to have our own table for a couple hours without feeling rushed at all. In fact, we ended up staying past the time they closed, with nobody asking us to leave, which I appreciated. Unfortunately they were running low on a lot of items, and most of the menu was unavailable, which just means I will have to go back to try the other items that I didn’t get a chance to try. 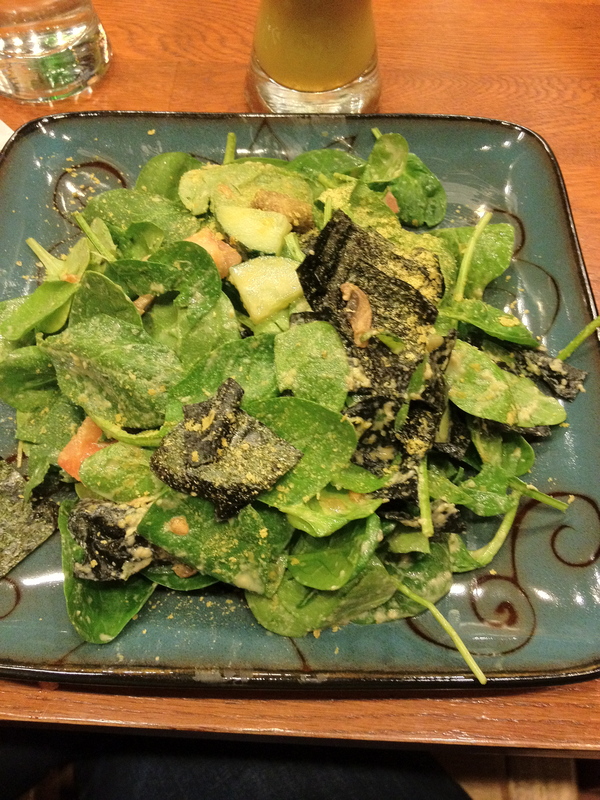 I had the “Hungry No More” salad with added nori, and tons of nooch (nutritional yeast). At first it didn’t seem like the kind of salad I would like, since I have never been a huge fan of eating seaweed or large amounts of nooch, but it turned out to be pretty good. 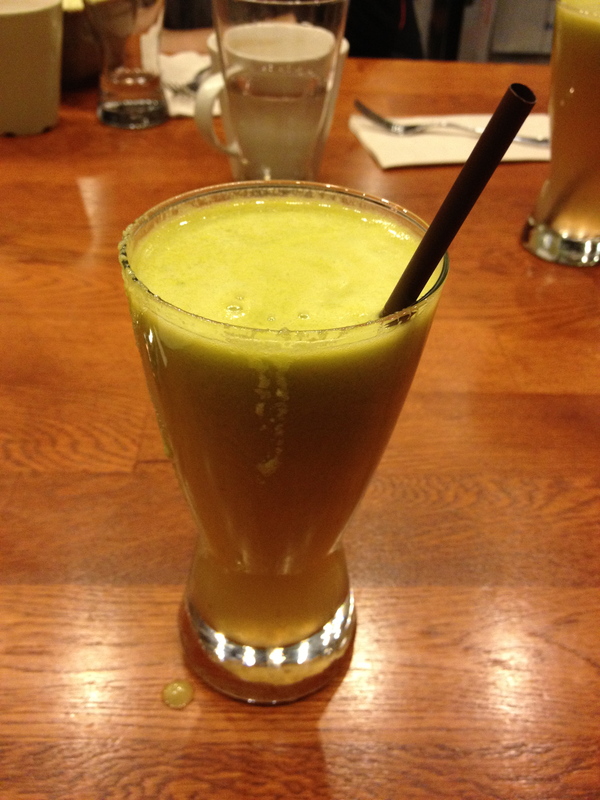 I also got a juice, the “Northern Light” which has apple, basil, cilantro, ginger and lime. It was really good, and unlike some other juices containing ginger that I have had, this one didn’t burn my lips with excessive amounts of it, it was the perfect amount of spicy, balanced out with the sweetness of the apple. Thrive is located at 1026 NE 65th Street in Seattle’s Roosevelt neighborhood, across the street from the Roosevelt Whole Foods (which by the way makes for excellent entertainment for 5 food bloggers on a Saturday night). They are open daily from 11:30am-7:30pm. Oh, the “northern light” was so good! It was spicy through and through.